The Queen of Wessco encourages Ellie to follow in her sister’s footsteps and settle down with a prince of her own. Or a duke, a marquis… a viscount would also do nicely. Logan St. James grew up on the wrong side of the tracks, in a family on the wrong side of the law. But these days, he covers his tattoos and scars with a respectable suit. He’s handsome, loyal, brave, skilled with his hands and… other body parts. But then the mood shifts, as if the air becomes thicker, weighted, more... sultry. Because slowly, Logan sinks down to one knee in front of me—looking in my eyes the whole time. In this position, I could touch his shoulders, comb my fingers through his thick, dark hair. He’s the perfect height for me to bend down and kiss his mouth—the perfect height for him to kiss me back... in a lot of places. And I almost laugh. Most girls get a ring from a guy on his knees. I get a murder weapon. But still, it makes me feel safe... watched over. Like I’m something precious that deserves to be protected. Can he tell? Does he know? He’s so aware of everything, always so attuned, I wonder if he can sense my arousal... feel it in the air that clings between us. Oddly enough, I’m going to quote myself to start off my review. It’s a post I made to Facebook when I was 60% into the book. “You want to know how I can tell a book is good and an author is good at their craft? When I'm reading a scene, bawling right along with a character, feeling devastated at the news they just received, yet I know it's not what it looks like and the person they fear is dead, isn't. 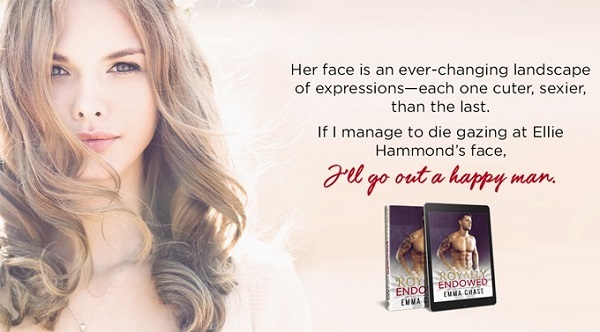 Well done, Emma Chase, well done.” Obviously, Chase has once again written a book that has the power to render me into a sobbing mess, but as expected, she also provided plenty of laugh out loud moments and heartwarming scenes along the way, making Royally Endowed a thoroughly enjoyable way to spend a Saturday. 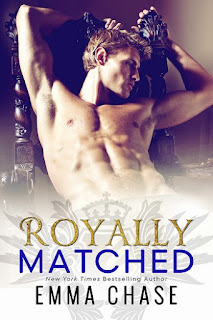 Being the third book in the series, Royally Endowed shifts the focus from the immediate members of the royal family – after all, both of the princes have found their princesses – to an extended member of the royal family, Ellie, the younger sister of Olivia. With the manner in which Chase has written the book, you could read this installment as a standalone because its beginning coincides with many of the events from the first book in the series, Royally Screwed, while Olivia was in Wessco and Ellie still in the U.S. However, I would recommend starting with book one because your reading experience will be richer for it as you’ll know most of the major players in the story and understand the events that have shaped not only Ellie and Logan, but the rest of the royal family – who play significant roles in their story. Giving the author her due, Chase does a wonderful job in how she moves Ellie and Logan’s story along by jumping forward in time to show us the important moments in their lives, while still telling their story in a linear fashion – well, after she hooks you with the prologue, that is. The time jumps may be a few days to a few months, but it’s done in such a way that I didn’t feel cheated as a reader by missing out on their courtship, nor did I feel burdened down with unnecessary and mundane details. I got to enjoy Ellie and Logan’s journey as Ellie became a royal by marriage and Logan tried to ignore his feelings so that he didn’t have to choose between love and duty. Equally impressive is that the author is able to weave major events from Nicholas and Olivia’s marriage and Henry and Sarah’s relationship into Royally Endowed, giving series fans a chance to catch up with the previous couples, yet doing it in a way that it did not overshadow Ellie and Logan’s romance. I absolutely loved watching the princess’s sister and the East Amboy bodyguard fall in love and make a go of it, bumpy ride and all. 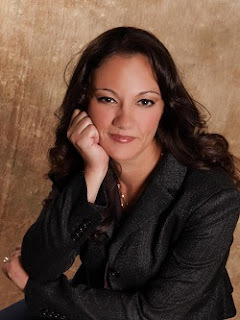 And I can only hope that Tommy’s love troubles revealed in the epilogue are a set up for another book in the Royally series – or a spin-off for the men of S&S Securities (hint, hint). This is a sweet story. It spans several years and I would recommend reading the previous books before this one, because there are several characters who are seen in the previous stories. Ellie is a sweet kid who has a crush on her bodyguard, Logan. Like any young girl, she takes notice and then, after a while, thinks that she will find her fairytale ending. While she has her crush, she is able to make sure that she finishes her schooling and achieve her goals. Logan ensures that Ellie is protected, cared for, and that nobody messes with her. At first, he knows that she has a crush on him – he knows that his job depends on him being able to keep himself in check. He watches Ellie grow and mature in to a beautiful woman and his resolve falters. There is a lot of love, a family who not only sticks together but stands up for one another, and a grandma who is less than likeable. I think this has been my favorite story thus far and I hope that Tommy gets his own story, as he was such a sweet character in Ellie's tale. Love does conquer and sometimes, it brings you places you never thought to imagine. For reviews & more info, check out our stop on the Royally Screwed Blog Tour. For reviews & more info, check out our stop on the Royally Matched Blog Tour. 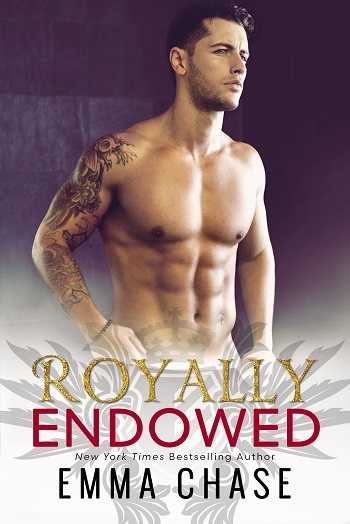 Reviewers on the Wicked Reads Review Team were provided a free copy of Royally Endowed (Royally #3) by Emma Chase to read and review for this tour.